With 2012 being the year of the Summer Olympics in Britain, it’s easy to forget that GB has a great line up of competitors in Winter Sports. Only two weeks ago, Britain’s top Skeleton Racer Shelley Rudman (above) achieved the first win of the season in Germany, being fastest on both runs at Konigssee to beat silver medallist Marion Thees by half a second. At the time, the win moved Shelley up to 3rd in the overall standings after five of eight races – but just today, she tweeted she’d moved up to 2nd place in the World Championship rankings. 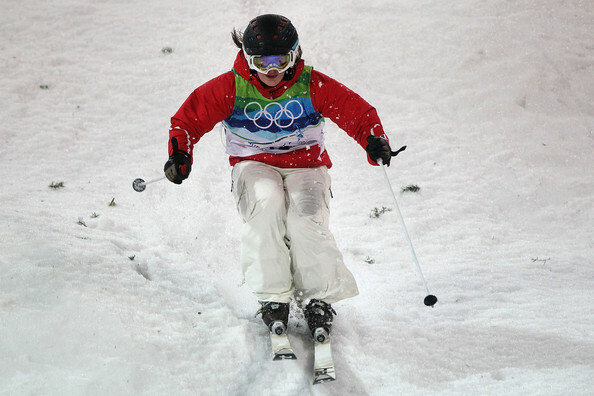 Shelley, who is 30, is no stranger to medals though – she took the Olympic silver medal in 2006, was European Champion in 2011 and took bronze at this year’s European Championships on the 7th January. She’s currently taking part in round six before the final two legs take place in Whistler and Calgary in Canada. The season then reaches an end with the World Championships at Lake Placid, which runs from 13th 26th February. Zoe Gillings (above), Britain's No 1 snowboarder, last week finished a very impressive 7th place at the Veysonnaz Snowboard Cross World Cup in Switzerland, fending off stiff competition from the Olympic Silver medallist, Deborah Antonioz. Out of a large field of 24, Zoe achieved a faster qualifying time than the Olympic Gold medallist Maelle Ricker – and it was her highest qualification so far this season. 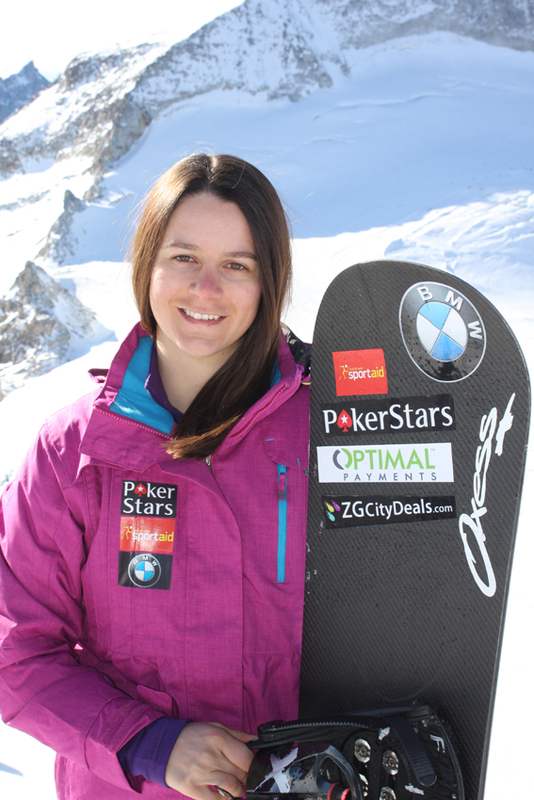 She’s on track for success in the 2014 Winter Olympics – but from the end of last season, whe her funding from UK Sport was cancelled, Zoe has relied solely on her personal sponsors – Pokerstars, Neteller, BMW and Isle of Man Sports Aid to provide her with an Olympic training program. 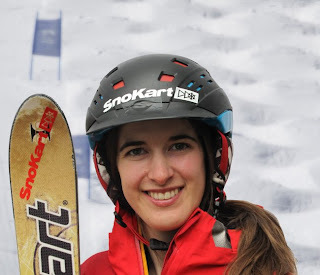 And then on Sunday (22 January 2012) Zoe just missed out on podium finish at the latest World Cup Snowboard cross event in Switzerland – finishing an amazing fourth place. 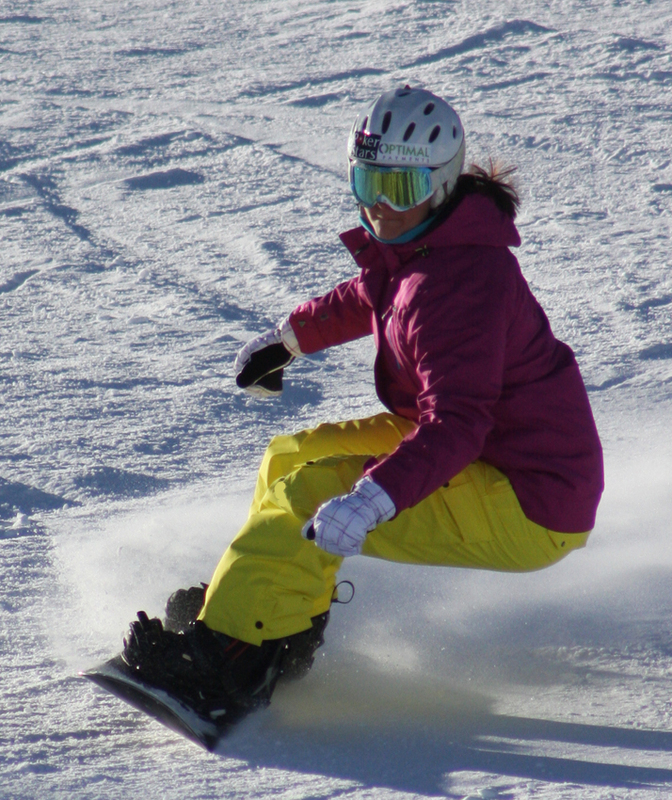 She is now ranked seventh in the world, and heads to the prestigious invite only X-Games event in Colorado for her next competition on January 27-28. Rounding off our trio of top female British Winter sports stars is Ellie Koyander (above) – who is Britain’s number 1 freestyle mogal skier. 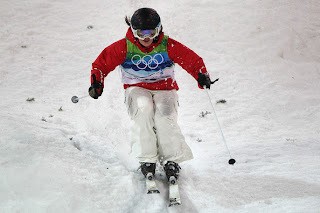 In 2010, Ellie became the youngest female member of Team GB representing her country at the Vancouver Winter Olympics. At the age of 18 – and in front of a crowd of 12,000 in the floodlit moguls arena, Ellie finishing an amazing 24th place and narrowly missing out on a place in the moguls final. Ellie is a full time athlete on the FIS World Cup circuit, and travels the world training and competing to be ready for the challenge of the Winter Olympics in Sochi, Russia in 2014.